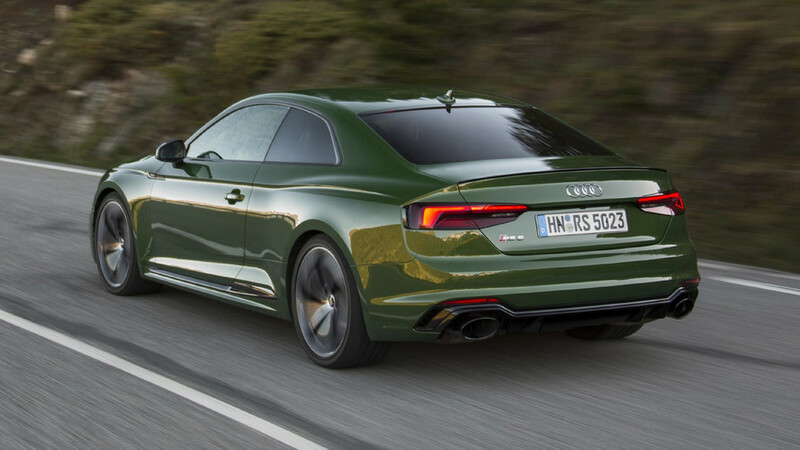 Drive from France to Andorra in the 450-hp, drop-dead-stunning Audi RS5. This is a mission briefing we can live with. The climb from Toulouse, France to the charming European micro-nation of Andorra is more than 6,000 feet. 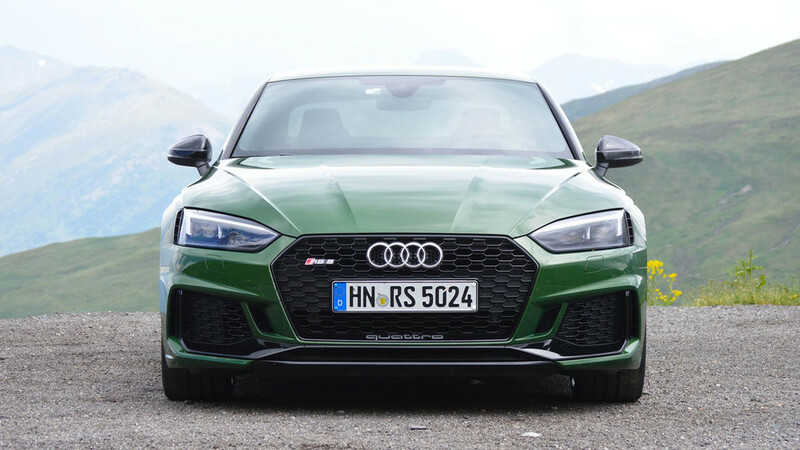 Smooth autoroutes change to neck-snapping mountain switchbacks along the way, but I quickly notice a constant: The 2018 Audi RS5 Coupe I’m piloting is the fastest thing on every road. Even the laziest flex from my right foot sets this gorgeous coupe to leaping, with an accompaniment of basso exhaust startling the otherwise silent cabin. I pass the toddling Euro-mix of hatchbacks and small vans as if I’m the prince of the byways, and with unthinking ease. In fact, if I were slightly more aggressive (or a local), I would probably execute three times as many passes – the car is capable even where my timid stomach may not be. It’s the dash from 50 miles per hour to let’s-hope-these-French-speed-cameras-are-switched-off that makes this feel like an everyday supercar. 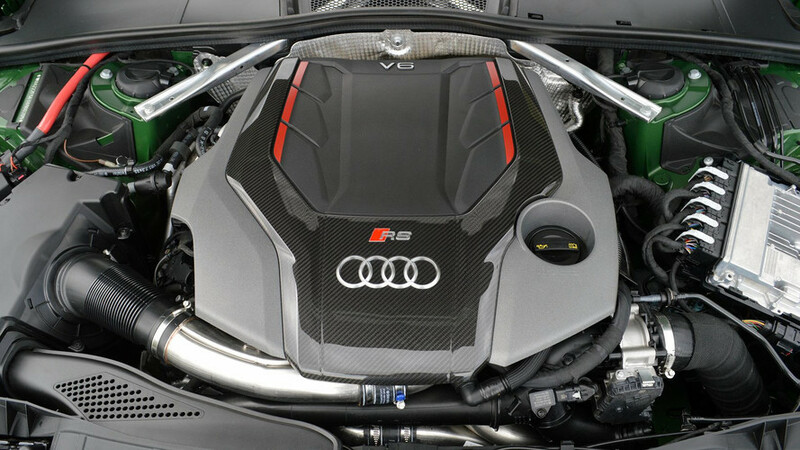 The Audi-developed, biturbocharged 2.9-liter V6 is at the heart of the RS5’s athletic ease. 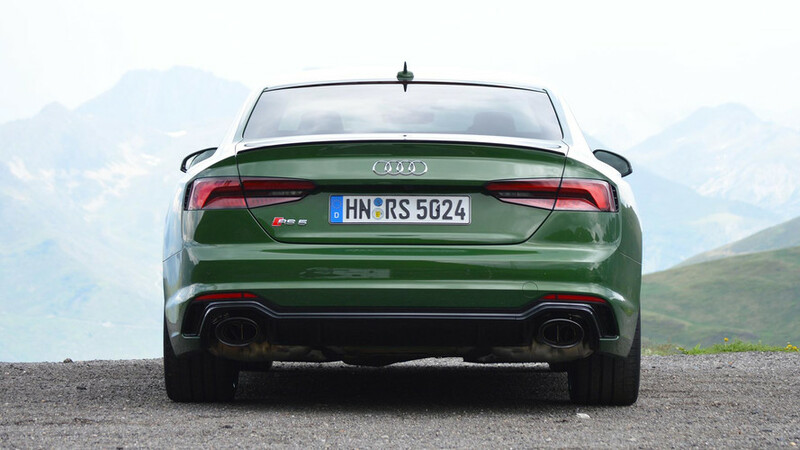 The turbo six matches the outgoing RS5’s V8 in terms of output – 450 horsepower – but the new car’s torque figure jumps from 317 to 443 pound-feet. As much as I liked that 4.2-liter V8, it’s all that extra torque I’m thinking about as I squirt by a Fiat Panda 4x4, and get thumbs-up signed by passing enthusiasts. Even on uphill sections, of which there are many, the accelerative experience is downright visceral. 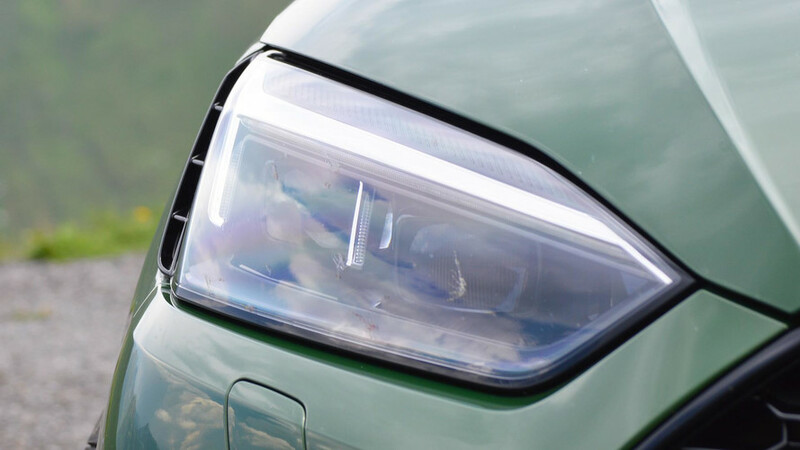 Audi says that 62 miles per hour will come up in just 3.9 seconds, but it’s the dash from 50 miles per hour to let’s-hope-these-French-speed-cameras-are-switched-off that makes this feel like an everyday supercar. 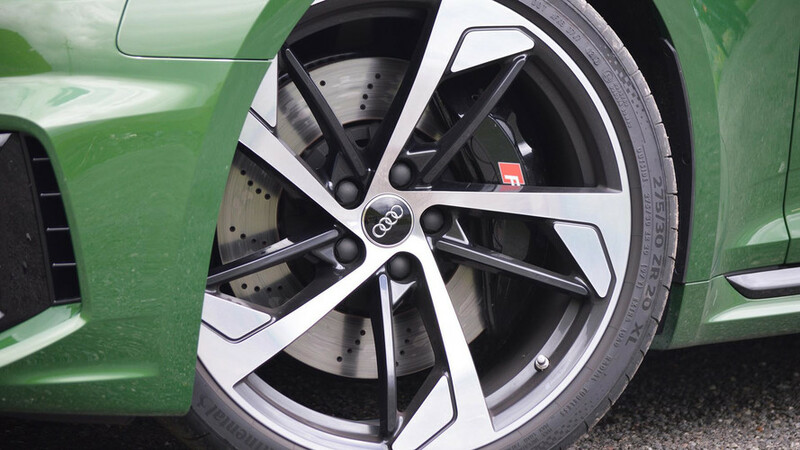 Audi’s design team has done noble work to keep pace with the engineering under the hood, as well. 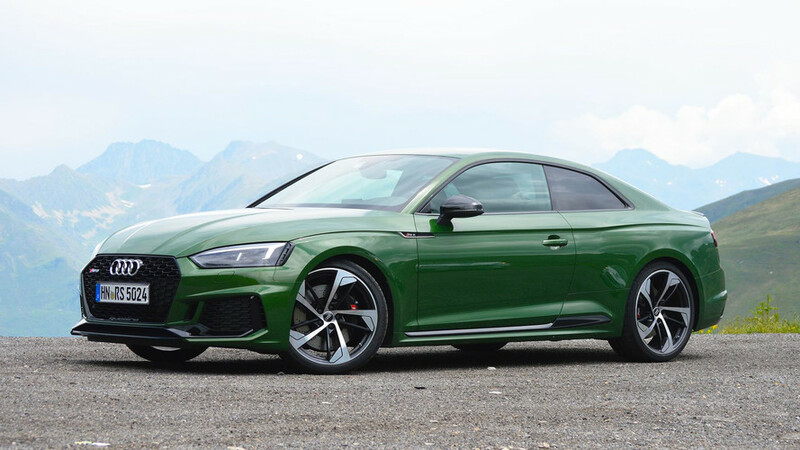 Where the outgoing RS5 was a bit of an anonymous round shape on big wheels, the 2018 joint has serious pizzazz. The wheel arches have been aggressively blistered (now more than a half-inch wider) and hug 20-inch, low-profile rolling stock. The view from the profile is more macho with a strong character line on the bodyside highlighting the rear haunch, and the grille is sharper and meaner in one’s rearview mirror. Its subtler than an R8, of course, but this is still blatantly a performance machine – a feeling hammered home by the multiple onlookers and question-askers at my photo stop. Inside the story is much the same: Many of the controls and trim elements look like variations on high-quality cabin content from cars like the A4 or Q7. 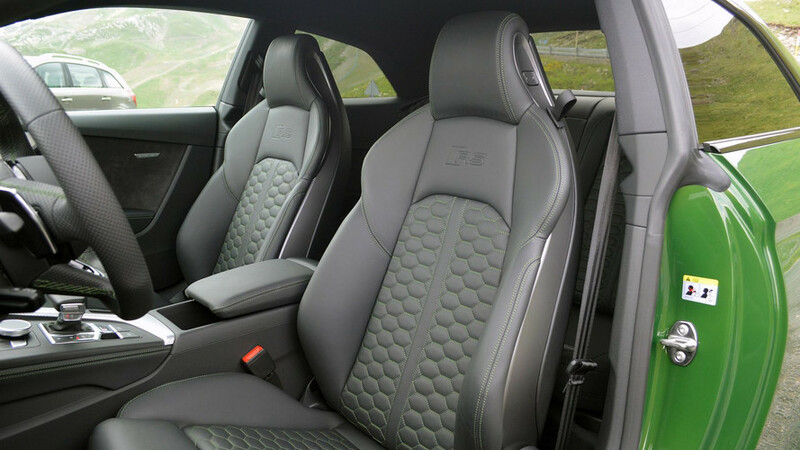 But it’s spiked with flash elements that remind me this car is the product of Audi Sport: hexagonal quilting on the sport bucket seats; an alcantara-trimmed, flat-bottom steering wheel; even a special RS-specific graphics treatment for the head-up display. 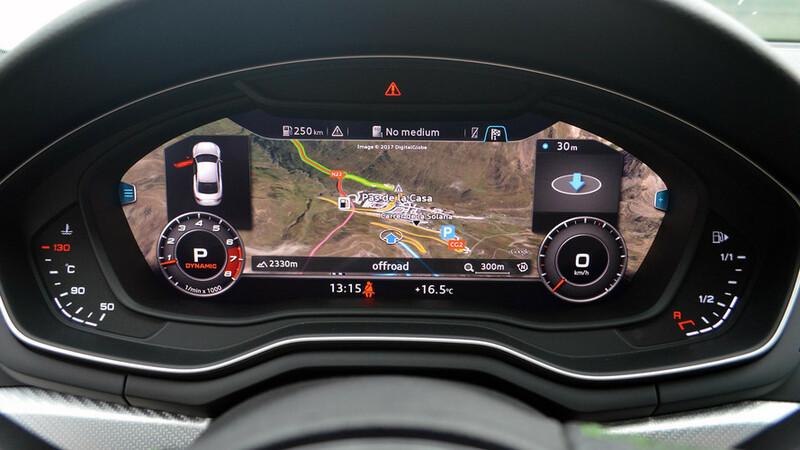 As I crush switchbacks and gain altitude, I lose sight of the fact that this Audi’s goal in life is to be driven really quickly. That grippy steering wheel does a hell of a lot more than decorate the space; it connects me to a car that truly loves hunting for corners. That grippy steering wheel does a hell of a lot more than decorate the space; it connects me to a car that truly loves hunting for corners. 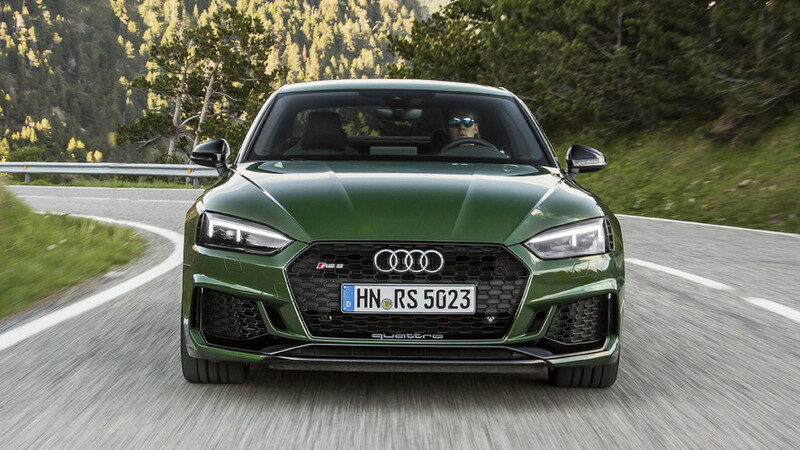 Especially as equipped here – with the optional rear sport differential – the RS5 is masterful at rapidly turning in on corner entry, and effectively directing power for a swift corner exit. I’m lucky enough to encounter a spot of rain as the day proceeds, which allows me to report that this Quattro-fueled behavior works neatly in the wet, too. 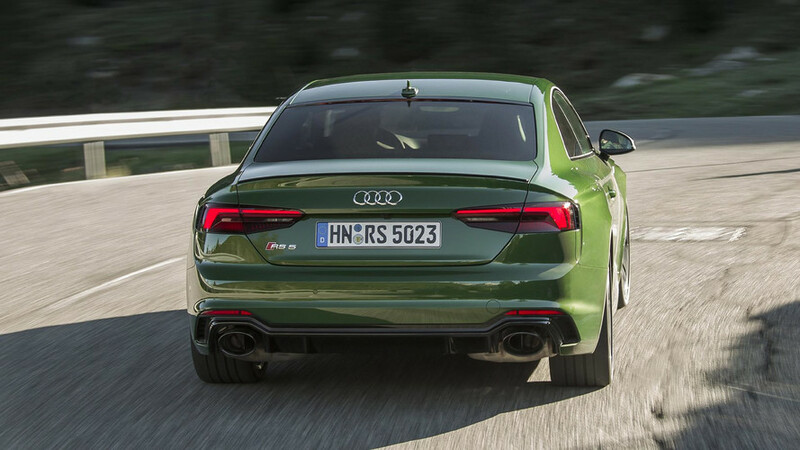 In terms of communication, however, Audi’s new coupe doesn’t much distinguish itself from the last one. Steering effort is nice and meaty, not overly assisted, but also lacks in terms of feedback. I trust in the grip of the tires, and see that the car is following my desired path, but don’t feel much of it in the process. Were I to push a lot harder, or drive the car at the track, the lack of feel might leave me flat. 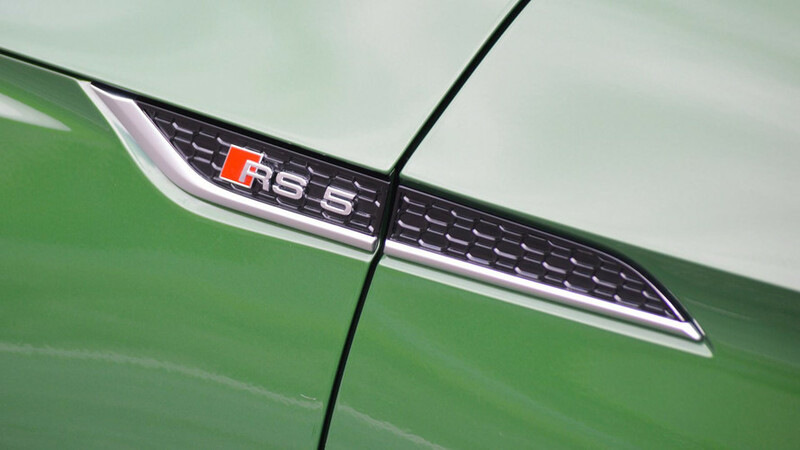 With that said, I think the RS5 is tuned perfectly for its likely audience. I’m driving with the optional RS sport suspension, complete with Dynamic Ride Control, and the variability in settings allows for excellent ride control and comfort, almost all of the time. 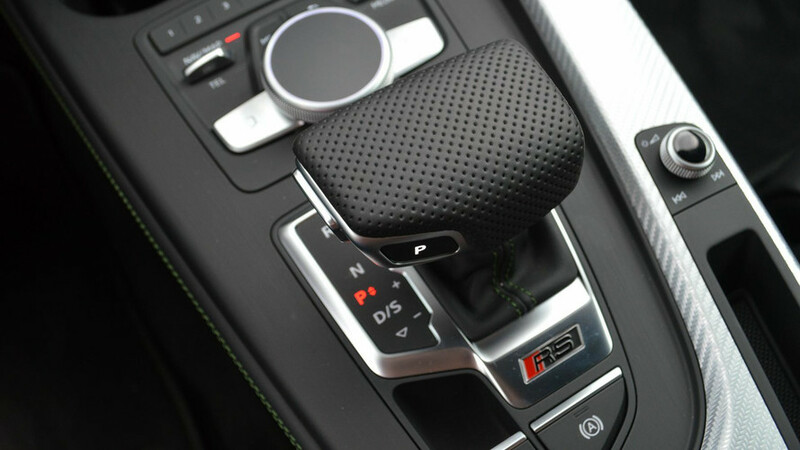 On the highway in Comfort mode, DRC keeps the RS5 placid and planted at higher speeds. Select Dynamic mode, meanwhile, and the suspension stiffens, with quicker responses appropriate for some of the Pyrenees’ finest switchbacks. The V6 makes a nice sound through the exhaust at max revs, but it’s just slightly more muted than I’d expect, or want, when I’m going for the gusto. The dual personality is ever so slightly subtler when it comes to the sonic character. 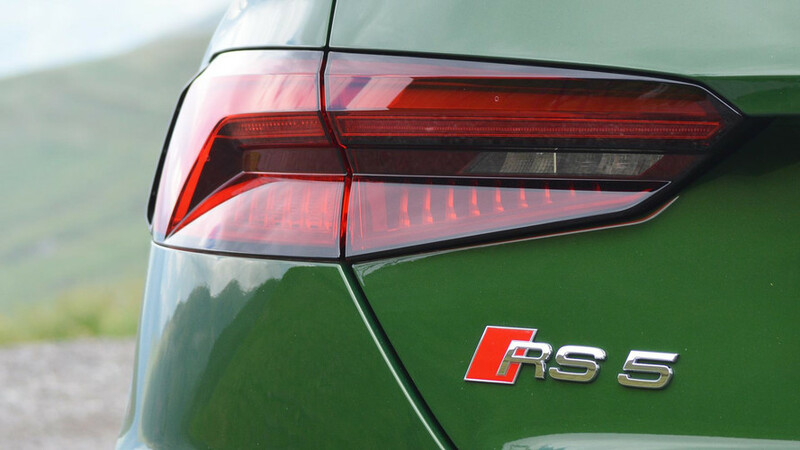 If you want quiet, the RS5 has got you. Even with those big 20-inch wheels, my time on the highway is all but perfectly hushed. But when I’m pushing hard out of bends and mashing the throttle for quick starts, I am a little disappointed that the car isn’t more raucous. The V6 makes a nice sound through the exhaust at max revs, but it’s just slightly more muted than I’d expect, or want, when I’m going for the gusto. 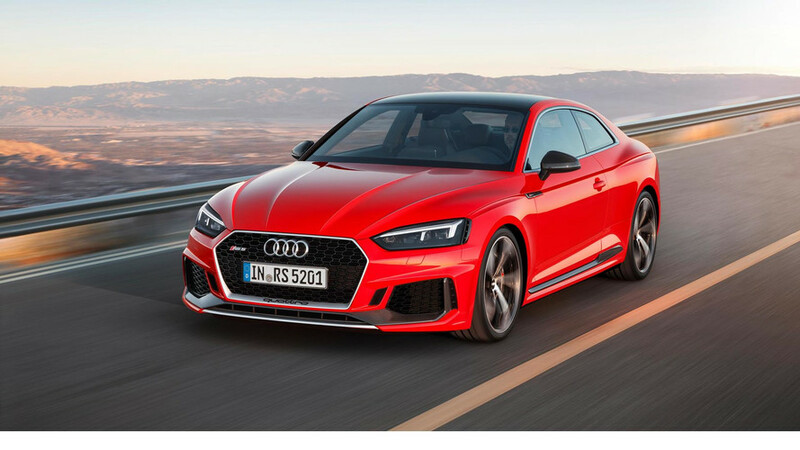 This may be a product of changing customer demands (or a byproduct of the new golden age for turbo engines), as the Audi’s mainline competitors mostly mimic that slightly shy sound. 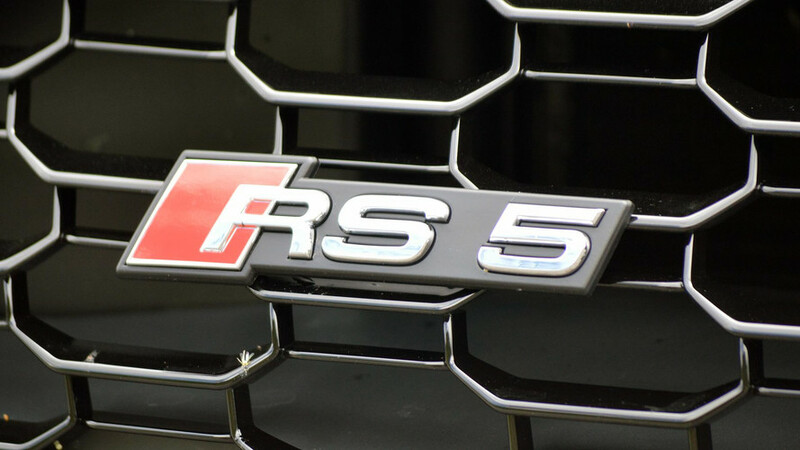 If the RS5 is brilliant, it’s because it has to be. The competitive set is composed of some of the most capable and quick luxury coupes I’ve had the pleasure to drive. BMW, Cadillac, and Mercedes-AMG all bring cars to this fight, all with biturbocharged engines and outputs well over 400 hp. They are also good looking, great handling, and damn fast, in various degrees, relative to this punchy RS car. The Mercedes-AMG C63 – and its 469-hp V8 engine – is probably my current favorite of the crop, though those seeking all-wheel drive will need to move down to the far less potent C43. If it were my money on the line, I might also cross shop the Alfa Romeo Giulia Quadrifoglio, even if it’s a little pricey, and has two too many doors. Pricing figures to be directly in line with the German rivals, as well. The AMG C63 starts at $67,000, and the BMW M4 asks $66,200; while we don’t have pricing for the RS5 as yet, I anticipate the all-wheel-drive coupe to slot right into that high-sixties, low-seventies range. As is typical for cars from these brands, do look at those base prices as a starting point, not a goal. Any of these vehicles can and will be optioned over eighty large, with relish. I don’t know how many more times in my career as a car-review scribbler I’ll get the chance to drive to a tiny, ungodly gorgeous spot on the Earth like Andorra. 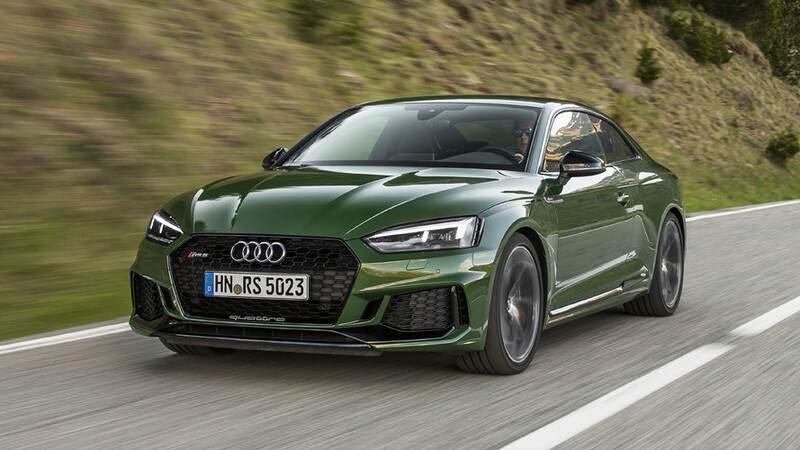 However, should I repeat this trip, the bar for getting there will have been set high by the soup-to-nuts competence, and remarkable fun factor, of this Audi RS5. But hey, I’m all for aggressive goals.